This is Mt. 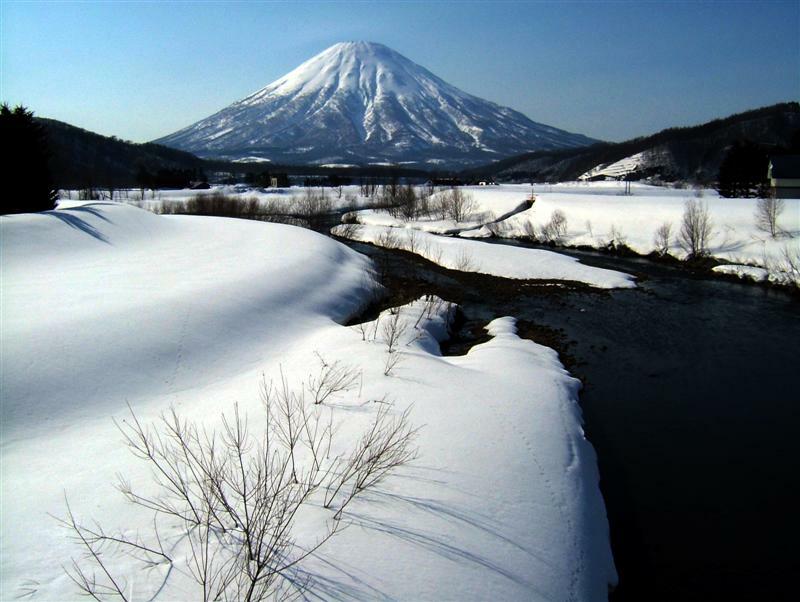 Yotei-zan in Hokkaido, Japan (about 1 hour west of Sapporo). This pic was taken on a visit to the island back in March with my old Fuji S3000 so the quality isn't great. I only wish I'd had my A200 back then! Anyway, it's +35 degrees with 85% humidity here in central Japan now so looking back on these winter pics makes it feel a little cooler. Very nice shot. I like the way you make the river lead the viewers eyes to the mountain! Nicely done! This is a wonderfully composed shot. I like it a lot. Wonderful! Love all the dark/abstract areas. Thank you all for your comments. I am also very pleased with this shot, though I do remember it took numerous attempts to get the exposure right. This was the best of about 20 shots!